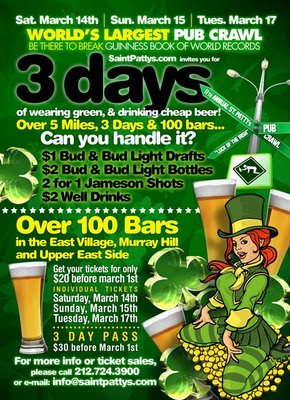 Most bars hike up their prices on St. Patty's Day. We suggest partaking in a bar crawl to keep your blood alcohol level high and the price you pay for drinks low. Tickets for this one jump to $30 on Monday, so you better buy a ticket today. For tickets, click here.